A delicious stir fry with bean sprouts as the base. 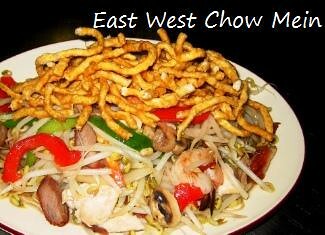 The chow mein is topped with crispy noodles, while the chop suey is left bare. This entry was posted in Main Street. Bookmark the permalink.